Video slots are one of the latest innovations in slot machine technology and they have replaced the traditional 3 reel classic slots. Generally speaking, video slots have 5 reels and from nine to multiple play-lines or Ways to Win and they come with special slot features like bonus games, free spins, scatter wins, wild symbols and even progressive jackpots. The video slots are very popular among slot fans mainly because they are based on interesting themes like popular TV shows, blockbuster movies and so on and they have high winning potential thanks to the bankroll-boasting features. Video slots also provide a lot of freedom to software developers while creating them and slot creators have the opportunity to freely express themselves and introduce new features in slots like thumbing reels, expanding or freezing wilds, multi-level bonus games based on skill and so on. With so many features, some video slots might be complicated to understand, but they can be pretty generous and pay a lot of money to lucky winners. After all, video slots are casino games of luck and luck alone and they use Random Number Generator software that produces the result of a spin. Therefore, virtually no skills are needed to play them. You simply press the Spin button and hope to have the luck on your side. However, to make sure that video slots are completely random and aren’t rigged, make sure you create a casino account with reputable, licensed and safe online casino that has its games tested for fair play on regular basis. The biggest difference between traditional and video slots is in the number of reels and pay-lines, number and types of symbols, pay-tables, features and themes. Moreover, there are also other distinguishing characteristics between these two types of slots. The classic slots are often in the shadow of the advanced video slots mainly because the majority of slot fans want to play slots with more features. Still they are suitable for players that miss the days of the vintage slot machines. Video slots, on the other hand, are more advanced than classic slots and offer many special features. On the negative side though, they might come with too many features and get pretty complicated. Nevertheless, when it comes to choosing the best slot to play, the decision lies in the choice of a player and his/hers taste. Who Should Try Playing Video Slots? All casino fans that want to have fast action and have a chance of quick returns should try playing video slots. They are easy to play and don’t require any betting skills, so if you have extra cash and want to spend it on a game based on luck, video slots should be your choice. Furthermore, video slots are based on popular themes, so if you like comic books or action-packed movies, you would enjoy playing them. 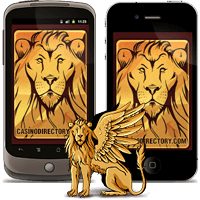 Moreover, the features they offer are thrilling and generous and they might rise up your riches. The following are a couple of online casinos that have legal online gambling license, use top notch safety measures, have great reputation and offer video slots with high payout potential: Video Slots Casino, All Slots Casino, Bet365 Casino, Mr. Green, High Noon Casino (USA) and Grand Macao Casino (USA). Moreover, the games they offer are certified for being random and fair. The software the above-mentioned casinos use is from Rival Gaming (USA), Betsoft Gaming (USA), Microgaming, Real Time Gaming (USA), Playtech and TopGame (USA) and it is high quality software that offers video slots with excellent graphics and sound. Some popular video slots they created include Break da Bank, Thunderstruck II, Avalon (Microgaming), Gold Rally (Playtech), Shopping Spree, Mid Life Crisis (Real Time Gaming), Greedy Goblins, Rook’s Revenge (Betsoft), Cleopatra’s Coins (Rival) and many more. US players can play video slots at US-friendly casinos like Malibu Club Casino, Bovada Casino, Drake Casino and Lucky Red Casino. The casinos are legally licensed and safe and offer random and fair video slots like Crystal Waters, Enchanted Garden, Spy Game, A Switch in Time, Gold Girl Bad Girl, Mr. Vegas etc. Know the game. Make sure you familiarize with the game, especially with its pay-lines and winning combinations as well as the features that come with it. Set a bankroll. Video slots might be addictive and you might lose a lot of money playing a slot that doesn’t pay anything. If you play a video slot that comes with progressive jackpot, bet the maximum amount so you have more chances of winning. Never play when you are drunk because you won’t have control over your game play and spending. Implement these strategy tips that will help you. Common words & phrases used in Slots. Understand the basic rules of Slots. How did slots come about? Click to find out. Check out our online slots tips. Check out our casino game reviews section.